Scandinavia has been dubbed one of the happiest regions on earth. Surprising, when you consider how cold and dark its winters can be. Whilst we can’t be entirely sure of the reason behind their utopia, we can look at the ways they live and take some inspiration for improving our lives. Our surroundings impact our mental health and wellbeing more than we give credit to and in Scandinavia they have a common theme within their homes – keep it simple. Whilst some consider minimalist living a little on the clinical side, once you understand the basics it’s easy to add texture and lighting to boost comfort and cosiness. Have a look at alternative ways to keep your home clutter free on this earlier post about The Konmari Method. 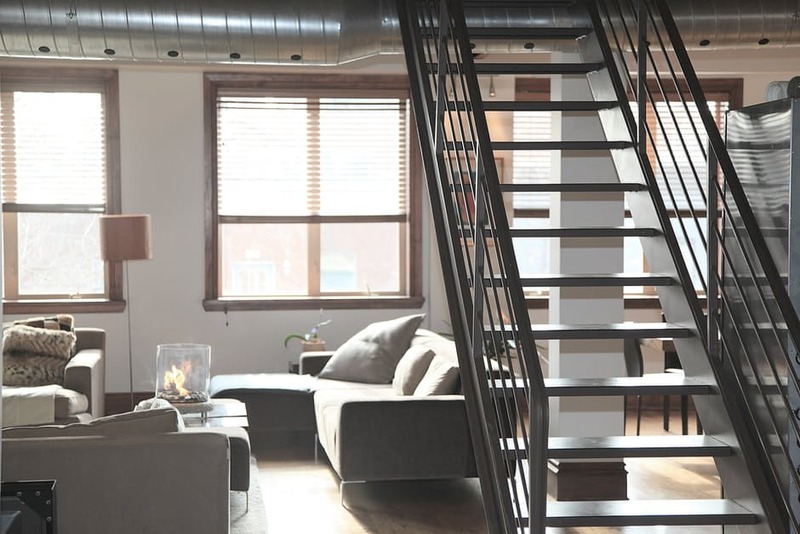 The very best way to get the most out of your home is to strip it right back to the bare basics. You can see the true size of a room when it is painted white. Ok, we understand that seems like an impossible task, stripping your whole house back to white, but to change a lifestyle you have to get pretty drastic. Look at this in the way you look at changing your health. Long term, over short but starting one step at a time. So choose one room, strip out all the furniture, grab some cheap white paint and start from there. 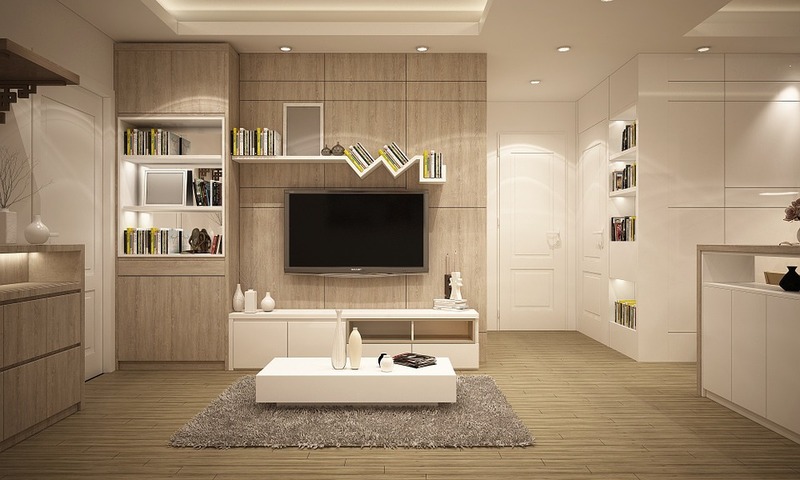 The living room is the least complicated area to start and will give maximum overall impact when you are finished. However if you want a smaller project to get you started, you could consider your hallway. The first thing you see when you walk into any house, so it stands to reason a cluttered, dark hall will set the tone of your mood within the home. For now, the focus is on the living room though. Once you have detoxed this room to its bare bones take a step back. Consider how much natural light you are getting. Natural light is great for improving the size of a space and benefits our mental health too. There are some dramatic ways you can increase the amount of natural light you get into a room, such as adding french windows, a conservatory or some roof lights. However, if you aren’t ready to take that kind of financial plunge, stick to increasing the amount of enhanced light. Ceiling lights are relatively easy to install and give you maximum light throw. If you set them up on different relays you can choose how many lights you have on at once. Ditch the wall lights if you can and opt instead for floor lamps and table lamps. Ok, so your room is probably going to look pretty spacious but really cold at this point. Most minimalistic spaces have a feature within them that is a focal point. For some, it can be as simple as three large free hanging shelves. What you display on those shelves should be visually pleasing but tell a story about you. When you look around your room you should see things that make you happy. Photos, small trinkets, books. Texture is the best way to make a minimalistic home look cosy. Your living room has to be functional as well as relaxing so get creative with the furniture here. Gorgeous white sheepskins add a dramatic, clean effect to floors and placing white knitted blankets on arms of your sofa adds a warm cosy feel to snuggle up against. Play with ideas, it may help to get some advice from an interior designer if you are finding it hard to keep things basic. Okay, so now you have the perfect living space for a healthy mind, let’s focus on a healthy you! Detoxing your house is one thing but you now have the perfect place to detox your mind. Finding clarity comes from within so it’s vital to take a few quiet moments every day. First thing in the morning is a great time to introduce a short meditation or yoga routine. Setting your alarm 30 minutes earlier than you do will give you time to do this. Get yourself into your clearest space visually. Somewhere away from clutter and noise. Wear comfortable clothes and start by rebooting your system with a glass of room temperature lemon water. Meditation can be tricky to master, it isn’t as simple as emptying a room and painting it white. We have to find a way of focusing all our attention on ourselves, not on the issues we have to deal with or the anxieties we have playing over in our thoughts. You might find that lighting a candle and sitting quietly watching it dance, taking time to only think of its movement and shape, is a good way to start training your brain to switch off from the environment. Other techniques include allowing your mind to focus on all the little noises surrounding you, from the humming of the fridge to the traffic outside, then picking out the noises that link to nature and slowly blocking out the man-made buzz. Imagine the problems in your brain are a pile of books, then one by one putting them high on a bookshelf until slowly all the books are away. You will then have an empty mind and will be able to focus on the self. Yoga can be really beneficial for those who are struggling with meditation. Whilst we practice yoga we tend to be able to focus on the movement and feel of our body, which distracts the mind from everything else and helps us gain a little clarity, mindfulness and inner peace. So next time you think about changing the style of your room to lift your mood, remember it’s not just about detoxing your house. Detox your mind too. Your home will impact on your thoughts, your sleep and your vitality. Minimal living is a lifestyle and a great start on the road to minimal stress!